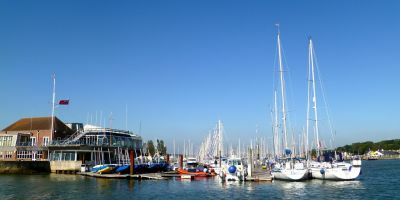 Lymington marina is decently sized with around 500 berths. The marina is manned all day, every day and power and water are available at every berth. Fuel is located at reception. There is a full onsite Chandlery and repair yard, complete with a 50 ton hoist. 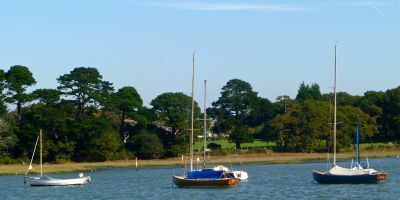 The earliest settlement in Lymington was around the Iron Age hill fort. The hill and ditches still remain and can be visited and viewed by anyone. From the Middle Ages to the 19th century, Lymington was famous for making salt. From the 19th century, it had a promising shipbuilding industry. Much of the town is Victorian and Georgian, with narrow cobbled streets. Unfortunately, much of the old buildings have been redeveloped due to collapsing architecture. 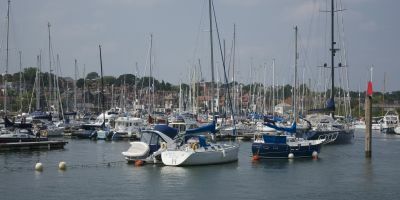 Channel 5 ranked Lymington as the “best town on the coast” due to it’s beautiful scenery, strong transport links and very low crime levels. Hurst Castle nearby in Milford On Sea is a historic castle that’s great for a day out. Cheap entrance fees give way to an exciting and beautiful day out in the building. The castle sits at the end of a long spit and was originally built by Henry VIII to protect the Solent. Charles 1 was imprisoned here in the 17th century. Aside from Hurst Castle, Lymington has their own set of public sea water baths. These pools are heated and much cleaner than normal baths due to the salt content within it. The Isle of Wight ferry passes by occasionally and the changing rooms are kept super clean. Great fun for families. Verveine Fishmarket restaurant buys the freshest food from the local fishmarket before bringing back and cooking it the same day as it’s ordered. This place is truly a gem to go to. The cooking is imaginative and delicious, whilst the service is friendly and attentive without being too clingy. Aside from Verveine, there’s also Egan’s. Egan’s prepares the food as you order it, so you can have it however you wish. The setting is nice and relaxed, whilst the staff are super helpful. When the food comes, you’ll just want to keep ordering more. The nearest airport to Lymington is Bournemouth, to the West. This leaves you 41 minutes out via the A337. A car towards Southampton, then turning off just before the city and down the A35 and then the A337 is the recommended route from the North. From Southampton, it’s around 30 minutes to Lymington. 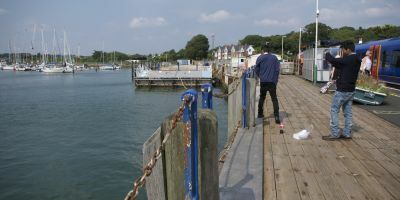 Two train stations are right near the marina in Lymington. Both leave you no more than 5 minutes walk away.